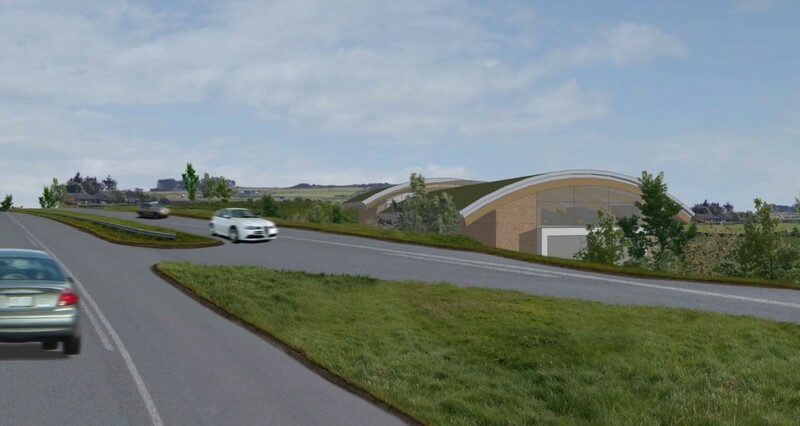 Lippe Architects have tabled plans for a green roofed garden centre by the side of the main road linking Aberdeen with Stonehaven, replacing the former Hillside filling station. 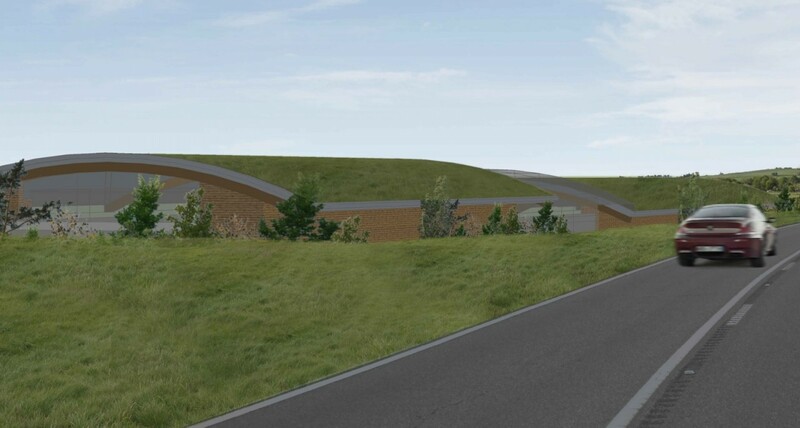 Modelled on Norr’s eco-roof at its St Andrews Old Course storage facility the centre would offer 1,910sq/m of space arranged over two levels with a large area of glazing oriented to maximise solar gain on a ‘challenging’ site next to the busy A90. 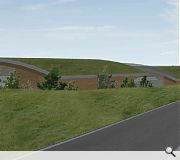 In their design statement the architects observed: “It is a challenging location adjacent to the A90, however, there is an opportunity to create a sustainable, modern building. The proposal optimises the site constraints and context, the roof design allows shelter from an easterly direction, minimises exposure to the north and maximises solar gain on the southern elevation, the design respects its location and the view from neighbouring properties, it has been designed to be resource efficient and clearly creates an identity and sense of place and demonstrates a clear aesthetic and visual appeal. 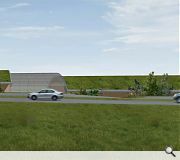 The garden centre has been proposed on behalf of McDonald Properties. Very tasteful and low key. Just wait for the garish advertising and plastic gnomes to appear. Going by the renders? A "garden centre"? Sure. It definitely isn't a secret base holding alien technology and some sort of time warping technology. Cars on the road in that area always look like they're crossing dimensions, right? Interesting stuff, and appropriate for a garden centre. 'Landmark' is an odd term for something that is designed to hide itself from view, though. Very poor images aren't doing anything for what looks like it could be a nice building... if only we could see the buidling. 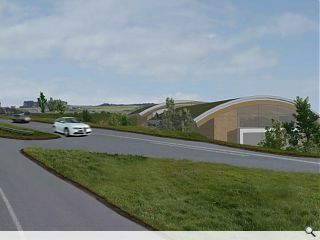 Don't see the logic in photoshopping the road and cars when they could have just used the road and cars that are there?! Very misleading.